Searching for a high-quality 3D printing service in Los Angeles? Quality Plastics offers customized 3D printing services to meet your unique needs. Our team is here to help you every step of the way, to ensure your finished product is everything you wanted. 3D printing services have become a popular way to bring your ideas to life! Simply upload your STL or Geode file directly to our site and we’ll put our 3D printers to work creating your vision. We make the 3D printing process incredibly simple and hassle-free. Quality Plastics offers an easy-to-use printing prototype service turns your idea into a real life object. You can count on us to provide you with a top-quality finished product. Our 3D printing video offers a first-hand look at this innovative process. 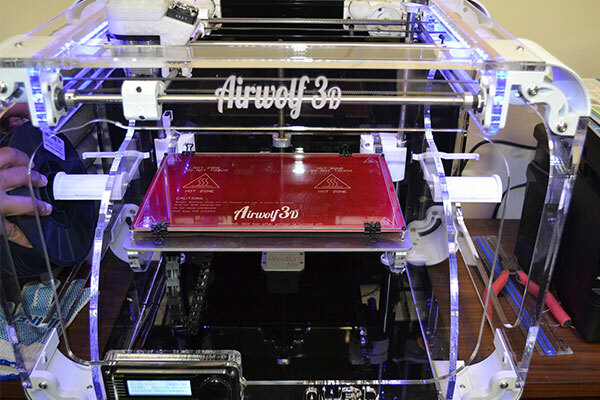 Check out our Airwolf 3D HD2x 3D printer and enjoy an inside look at what goes on behind-the-scenes. A 3D printer uses an additive process to bring a virtual design made in a CAD to life. Hundreds or thousands of layers are created that ultimately join together to create a finished object. There are a lot of 3D printing services in the Los Angeles area, so it’s important to choose one you can count on. Quality Plastics is committed to providing you with a finished product you’re proud to put your name on. We understand that you put a great deal of time and effort into the creation of your design and the finished product should represent that. We proudly employ the finest workers, suppliers, vendors and equipment to ensure our 3D production capacity is second-to-none. Our team can work with you to produce your finished product under even the tightest deadlines. In fact, we have a 24/7 production capacity that allows us to work around-the-clock. Put your trust in Quality Plastics. Our first-rate 3D printing service is the only way to guarantee that your finished product will be flawless. Don’t settle for anything less than top quality 3D printing to make your ideas come to life. SPI Industry Standards and Practices. Copyright © 2015 Quality Plastics NZ. All Rights Reserved.